Josie Lacey was born in Ploesti, Romania. Her parents came here as refugees in 1939. They were the lucky ones. Many of her family who couldn’t leave were killed in the Holocaust. 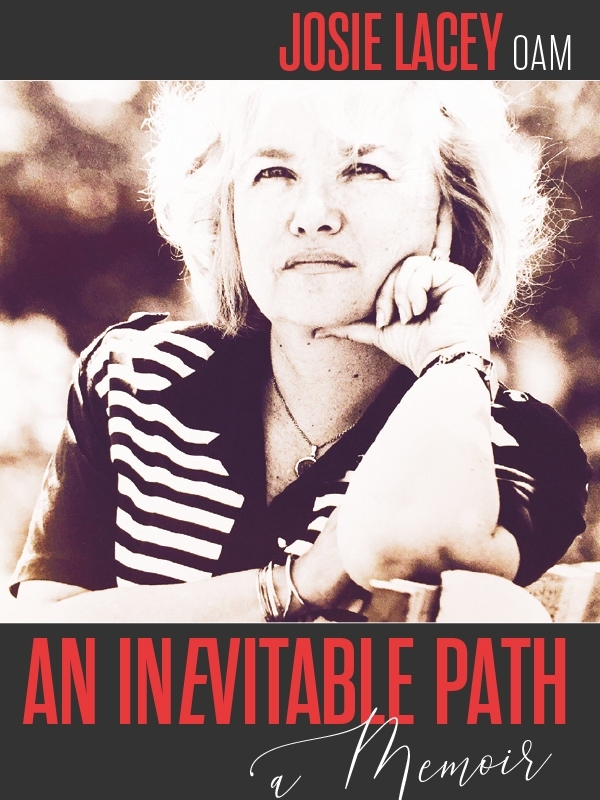 This built a fear of racism and its terrifying consequences – something that has been the motivating force and inspiration for her voluminous and markedly effective interfaith work and her life-long vigilance against racism. Josie’s family settled in the western suburbs of Sydney – Wentworthville. She was a youth leader, became a teacher and worked in London and Sydney. After losing her first husband she return to NSW and her family and once again met Ian – whom she had met at University and was to become her husband and life-long companion in Interfaith. They settled in Strathfield where their three daughters were born. Ian and Josie were active in our lovely small community, both in the Jewish community, the synagogue and the community at large, mostly through the public school their girls attended. Josie taught Jewish studies for eight years at the Synagogue Sunday School. Josie Lacey was an executive member of the NSW Jewish Board of Deputies, president of Wizo, a life member of the Executive Council of Australian Jewry and the Ethnic Communities Council of NSW, including its anti-racism taskforce as well as being active in a number of inter-faith organisations including the World Conference on Religion and Peace. In addition, she chairs the Religions for Peace – NSW Branch. Josie Lacey is a good writer. She has learned what many writers have not, that words make pictures in the mind of the reader. Josie is a bit of a master narrator, telling her life story and of her endeavours with interfaith. With a few brush-strokes, the scene is set, a hot summer’s day in Wentworthville, a confrontation at School, the Rabbi at the Synagogue, the Member of Parliament and her interfaith meetings. Not in Judaism, but perhaps in other facets of the Divine Diamond, there are women with divine qualities. They have generosity, they are indefatigable fighters for social justice, they form long-term friendships, and are successful founders of groups of women the flourish. Such organisations continue after the founder moves on, such as the Women’s Interfaith Network has done. Josie Lacey is one such facet of the Divine Diamond. A woman whose words bear life, and whose actions foster human flourishing. It is no wonder Josie and her husband Ian have both been admitted as members of the Order of Australia. Her innate sense of social justice emerges many times in this narrative, and the imperative “No time to lose” shows her commitment to the causes that she takes up. It is telling of her truth that Josie avows to “continue engaging with other Faith Communities, not just the Abrahamic but also the Hindus, Buddhists, Sikhs and Baha’i and others to develop personal friendships through communication”.